Your ex-spouse calls you, but the name on the caller ID is your child's. You receive a hospital bill for a C-section supposedly performed on your eight-year-old son. Or, you bring your child to the bank to open her first savings account, and are denied because they say she has a record of bad checks. All these are warning signs for a surprisingly prevalent crime: child identity theft. Most adults are aware that their own names and Social Security numbers can be hijacked by scammers who open fraudulent accounts in their names; not everyone realizes that the same thing can and does happen to kids. You might think a kid's identity wouldn't appeal to scammers. After all, kids have no credit history and they're not even old enough to get their own credit cards. But the victim being under 18 is generally not a problem for opening new accounts. The credit bureaus don't know the applicant's age, says Eva Velasquez, CEO and President of the Identity Theft Resource Center. And, a blank credit history can be attractive to a criminal who might have many blemishes on his or her own report, says Robert Chappell, a state police captain who wrote Child Identity Theft: What Every Parent Needs to Know. Even better, from a crook's perspective, is the fact that the crime can go undetected for years since no one usually thinks to check a kid's credit report. "In many instances, the first time a young adult might discover they're a victim of identity theft is when they try to apply for a loan for college and are denied because someone else either already destroyed their credit or already took out a student loan using their Social Security number," Velasquez says. How does your child's info get out there? When this information is written on school or sports team forms, it's seen by staff. If forms aren't shredded properly before disposal, it can also be found in recycling bins by thieves. To defend against these risks, be judicious about what you write on forms. "Leave the Social Security number blank. A Social Security number is like gold to a thief," Chappell says. When hackers broke into health insurance company Anthem's database in 2015, tens of millions of children's records were among those compromised. There's not much you can do to prevent a breach like that, but if you get a letter notifying you that your child's account was involved in a hack, take advantage of any credit monitoring service offered. Disturbingly, often the person who steals a child's identity is a relative or close friend. Even parents are sometimes tempted to put their children's names and Social Security numbers on account applications if their own credit is bad. To prevent a relative from exploiting your child's identity, Chappell advises keeping kids' sensitive documents under lock and key, just as you should your own. "Don't carry your child's Social Security card around in your wallet or allow your child to carry their Social Security card," Chappell advises. "It's just not needed on a daily basis." What should you do if your child's identity is stolen? File a police report and report the crime to the FTC at IdentityTheft.gov. Contact the three major credit bureaus to request your credit reports (you can access all three credit reports via AnnualCreditReport.com). Ask each bureau to remove any fraudulent accounts. Then freeze your credit so no new accounts can be opened. Contact the appropriate creditor to explain that the fraudulent account was opened in a minor's name. Consider paying for a credit monitoring service. 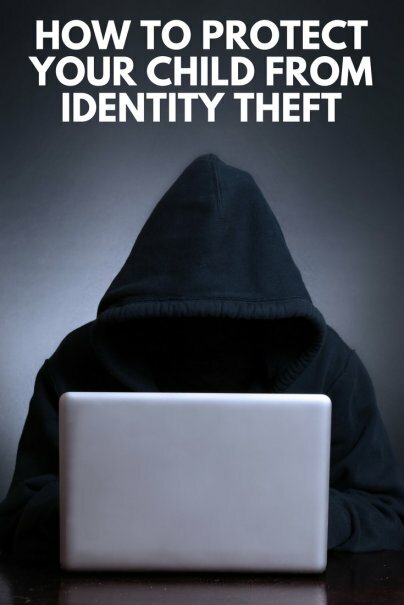 Visit the FTC's Identity Theft Resource site for more help.